You’re thinking ‘hipster’, aren’t you? We said flannel shirts, and your mind has immediately jumped to tall tattooed men wearing braces, spectacles they don’t need and, yes, flannel shirts. You might have a point. 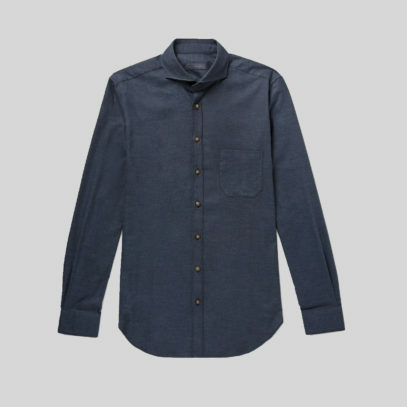 But, while this style has undoubtedly been appropriated by the beardy brigade, there’s still room for it in your wardrobe. And that’s because the flannel shirt is incredibly versatile. The term itself refers to any wool or cotton that has been brushed to raise the nap — and can be traced back to 17th century Wales, when farmers would use these warmer garments to protect them from the wild Welsh weather. 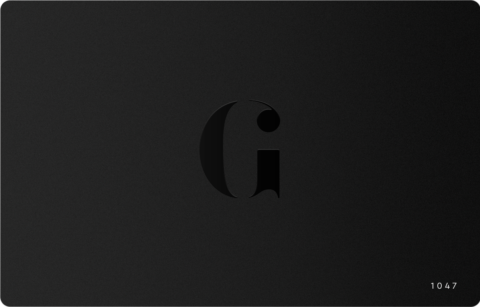 Today, however, their style appeal has been herded out of the fields and into the mainstream. Many people use ‘flannel’ as a byword for ‘checked’. And, while this isn’t technically correct, we can see why the link has been made. 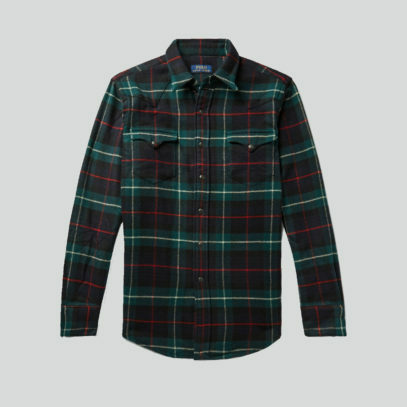 Flannel shirts look great in check patterns, and the rugged, manly style goes hand-in-hand with that lumberjack look. 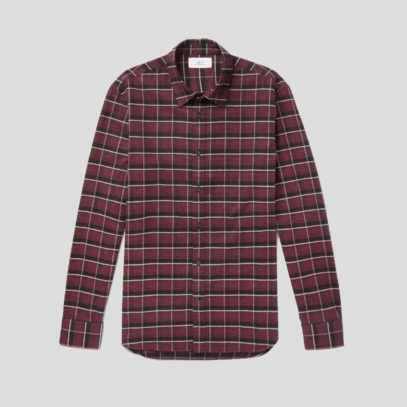 One of the best things about flannel shirts is how well they lend themselves to transitional style. As we barrel towards spring, you’ll soon be able to wear these brushed button-downs as jackets or overshirts in their own rights. 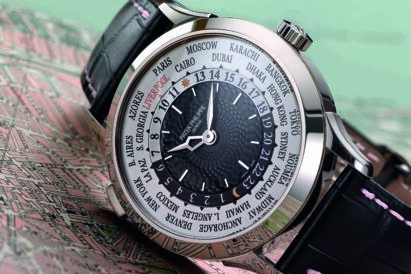 But, until then, reserve them for layering. 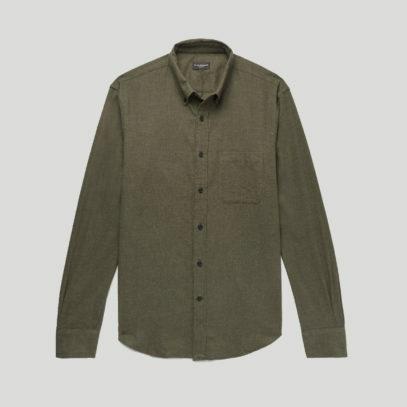 From Brunello Cucinelli, this block colour shirt has a cutaway collar, and would be perfect for pairing with a T-shirt and big winter coat. Similarly, Thom Sweeney’s Venus shirt would sit ideally beneath a patterned jumper — again block-coloured to avoid clashing. 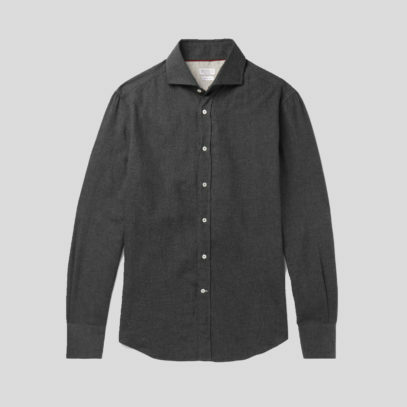 Or, finally, Club Monaco’s slim-fit shirt has a button-down collar to ensure that it doesn’t splay even if you’re wearing it as an unbuttoned mid-layer. You may think, given how casual the flannel shirt can be, that it’s excluded from any smarter circles. 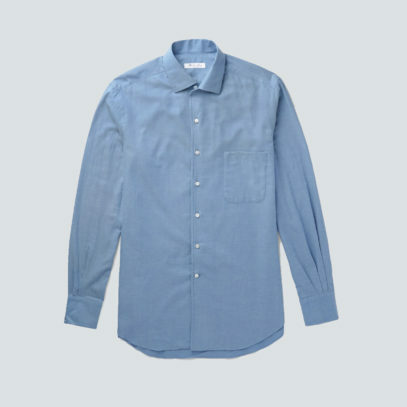 But, with the right styling, your brushed shirt can be made office-ready. 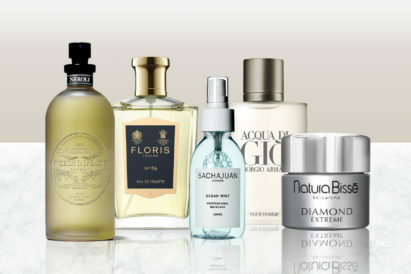 And, what’s more, during winter months, it will keep you snugger than you thought possible behind your desk. 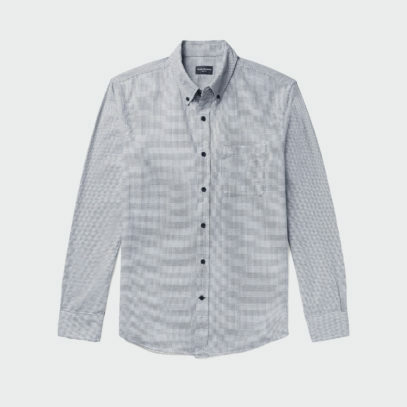 Opt for a lighter, non-patterned design such as this button-down option from Club Monaco. 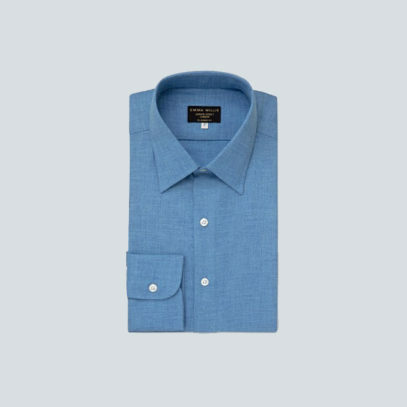 Or maybe go for something almost indistinguishable from your normal office shirts, like this light blue cotton-flannel shirt from Loro Piana. Or, if you’re used to something with a little more colour, Emma Willis’ azure brushed cotton is ideal. 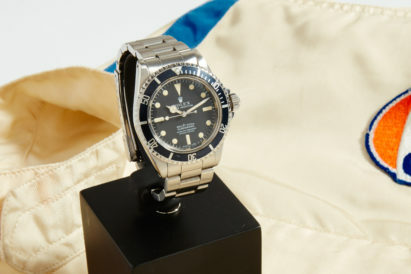 A gift to the actor’s favourite stuntman, could this vintage Submariner break records at auction?